Let’s face it: we’ve all had a terrible office chair at some point. Creaky, flimsy, chairs that hurt your back and usually, are a nuisance to use. Things don’t have to be this way, though; there are some absolutely incredible office chairs on the market if you know where to look. One look at this chair tells you almost everything you need to know: this is not your standard model. It does away with the small, adjustable lumbar and neck rest cushions, instead extending them to fill the entire backrest. They’re contoured too, so it’s not like the backrest is just several inches thick. These can, of course, be removed if you so choose. However, the whole point of a racing-style seat is to distribute your weight evenly across the backrest, so we’d recommend keeping them on. While PVC isn’t a breathable material, there is a large vent in the back of this chair. This allows you to remain cool and prevent that awful sticking sensation when getting out of the chair on hot days. 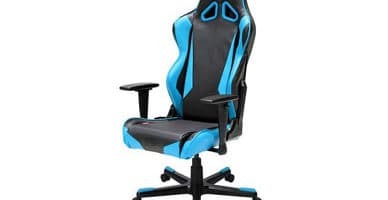 The frame is especially sturdy and made entirely of metal, which means that, unlike most other products on the market, this chair can support to 441lbs, so it’s suitable for people of all body shapes and sizes. 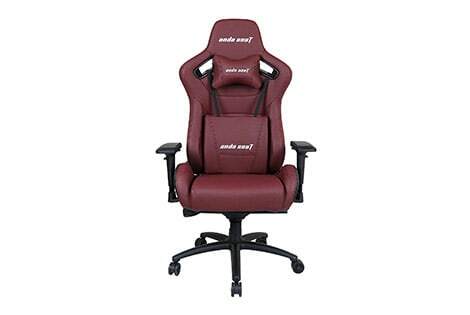 As you might expect from a premium office chair, the Anda Seat Kaiser Series is incredibly comfortable. It owes this to its filling; high-density mold shaping foam. 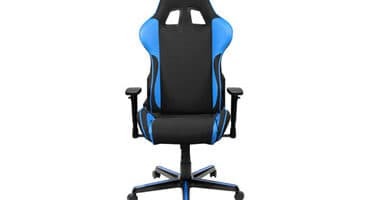 This is not only luxurious, it’s resistant to compression, meaning you’ll be able to use this chair for years without any degradation in comfort. Another great thing about this chair is that it comes with fully-adjustable 4D armrests. This means that you’re able to move them in, out, up, down, or rotate them to get the most comfortable positioning possible. This is a feature you just don’t get in less expensive models, and it’s a very welcome addition. Now, while this chair won’t let you recline fully, you can get pretty close. The reason for this is that heavier users run the risk of tipping the chair. Instead, the Kaiser Series allows you to lean back up to 14° – far enough to relieve any stress and let you unwind, but not far enough to comprise the product’s stability. We think this is a fair trade-off. Other than the armrests and tilt mechanism, there really isn’t much advanced functionality here. Do you know why? It’s because the Kaiser Series doesn’t need a massage function or extendable footrest to win you over. It’s built to the highest specifications and is confident that you’ll love it regardless. 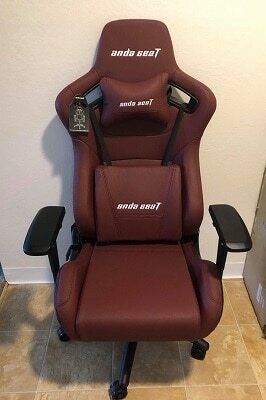 Anda Seat knows that you just want to start using their products immediately. 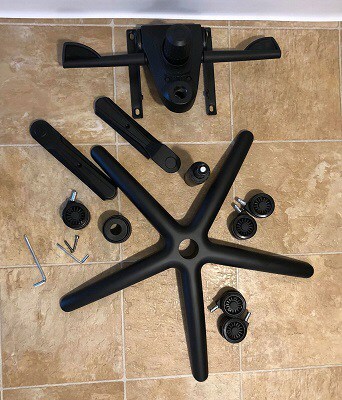 That’s why it’s made the Kaiser Series as easy to build as possible: it comes in just a few separate parts and can be fully constructed by one person in a matter of minutes. It’s an often overlooked part of buying an office chair, but we’re glad extra attention was paid here. The Kaiser Series chairs start at around $530, but you can expect to pay a little more for the full-sized support cushions. Honestly, this is less expensive than we thought it would be since premium chairs often cost $1000 or more. Now, let’s be honest: if you only need one chair, say for your home office, this price isn’t likely to cause any issues. However, the cost can rise pretty quickly when outfitting a commercial office. Bear in mind, though, that these chairs reduce the risk of muscle strain and can save you a lot of money in the long term. Ultimately, while buying any high-end chair comes with a significant initial investment, you recoup your costs later on. Further, since the Kaiser Series is less expensive than many similar products, it has a far lower barrier to entry for the self-employed, freelancers, or startups. All Anda Series chairs include a six-year warranty covering everything except for the upholstery. It’s a little unusual that the covering isn’t protected from factory defects but honestly, the odds of this happening are fairly low in the first place. Otherwise, this warranty is about what you’d expect, if not a little longer-lasting. It’s also worth noting that the frame is covered for the lifetime of the product. Further, you have two weeks to return it after purchase (as long as there’s no damage), or seven days if you’re claiming an exchange, for instance, if it was damaged in transit. All in all, the Anda Seat Kaiser Series comes with a fairly comprehensive warranty. The explanations are short, easy to understand, and to the point, so there’s very little chance of a loophole preventing you from getting a replacement. We also liked that this applies to all of their products, not just some. The Anda Seat Kaiser Series is an exceptionally comfortable and robust office chair, designed to help keep you running at peak efficiency. 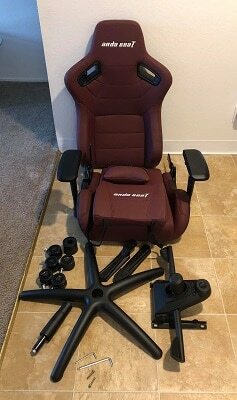 While it might seem a little expensive, it actually costs less than what you would expect to pay for a chair with all these features.